(Jan. 25, 2019) - 16-year-old bestselling author, playwright, and influencer Carrie Berk created a video in partnership with The Kind Coalition in support of No Bully's efforts to teach kids to practice empathy and to become positive forces in the world to stop bullying. 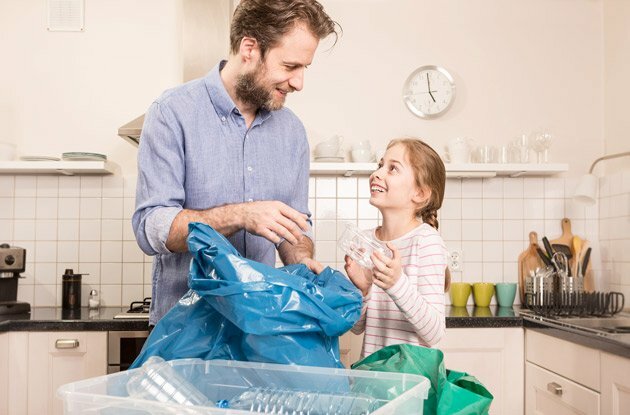 The video contributes to The Kind Coalition's efforts to record 100,000 acts of kindness in 2019. (Jan. 22, 2019) - The Fashion Class is excited to announce a new Upper East Side sewing studio for children. 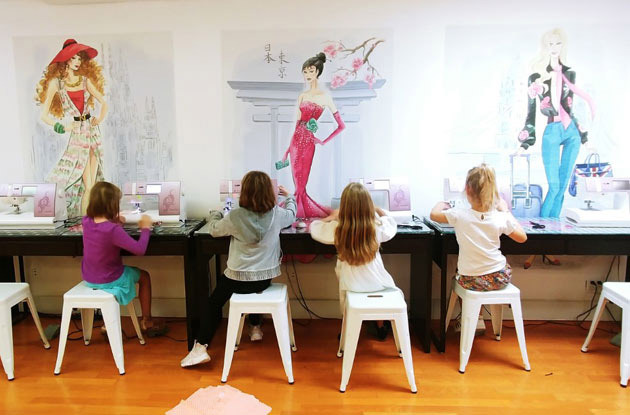 The new NYC sewing studio (alongside Applike Couture) will feature ten digital Singer Sewing machines, a variety of fabric choices, and a fun and creative activity for New York children. Since 2010, The Fashion Class has been bringing the art of sewing and design to New York Children and Teenagers. The Fashion Design and Sewing Classes on the UES will begin March 6. Classes meet once a week for ten weeks. Classes are offered after school on Tuesdays, Wednesdays, or Thursdays and also on Saturday mornings and afternoons. At The Fashion Class, children learn to sew their own garments. 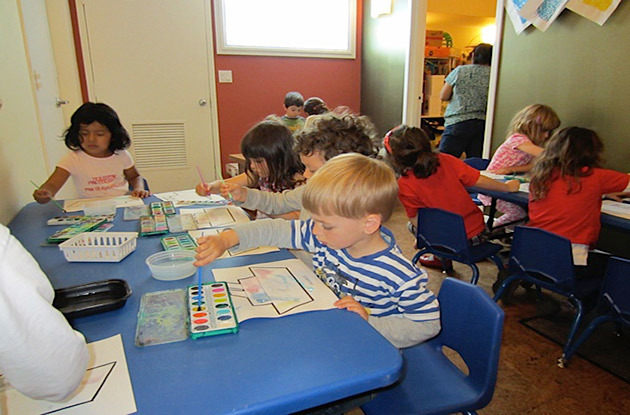 While the activities are fun and stylish, children have the opportunity to learn about creativity, confidence, and even math and science. The studio is also available for Sewing Birthday parties, where the birthday child and friends create and sew a one-of-a-kind item to take home that day. The studio will also feature a summer camp this June, July, and August with creative sewing projects, fashion design lessons and more. 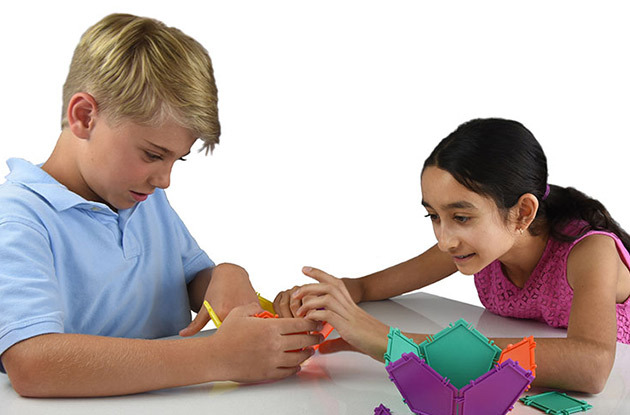 The camps aim to educate campers in all areas of the design process, including learning to measure properly, doing the math to create something that fits, and being able to proudly say, 'I made that!' Throughout the summer day and week, camp groups ages 6-8, 9-12 and 13-17, not only sew, but also learn about the creative arts industry. Campers learn about the arts through fashion illustration, about retail math and entrepreneurship, fashion history, and fabric fibers in textile science class. All of these lessons, though educational, are taught in a child-friendly and fun way. Fashion History even features real clothing from the 1920's through the 1980's. Camp groups are small with a maximum of 12 children and organized by age group. 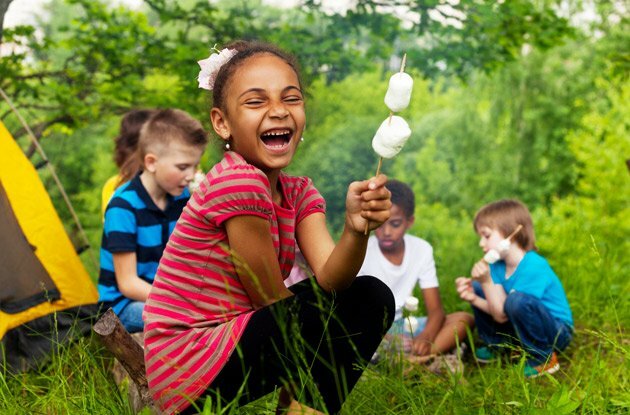 Early registrants can receive 10% off of their child's registration by using the code earlycamper19 at checkout, now through March 15. If your child is interested in design, sewing, the arts, or crafts visit The Fashion Class website for more information on the Fashion Class summer camp and other programs. (Jan. 16, 2019) - Dances Patrelle is looking for three teens, male and female, between the ages of 15 and 18, with strong ballet technique and acting skills for the upcoming production of The American Dream: Its Only Business. It is also seeking four or five young dancers between the ages of 10 and 12 who are studying ballet and interested in dramatic roles. Ladies should be prepared to dance en pointe. 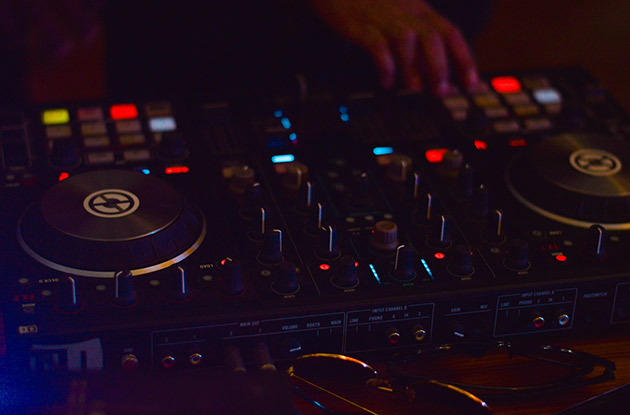 (Jan. 15, 2019) - This summer, Manhattan kids ages 8-12 will have the chance to learn the fundamentals of DJing and immerse themselves in music mixing, beat-making and other high-tech fun at Young Moguls DJ Camp. (Jan. 11, 2019) - Returning to Live Arts in 2019, "Dance by Very Young Choreographers" will showcase the work of 5-18 dancers and choreographers Jan. 26 and 27. Spearheaded by Ellen Robbins , this program has be an opportunity to introduce and empower children to create their own work for nearly 30 years. "Dances by Very Young Choreographers" not only focuses on the technical elements of modern dance but fosters a space for imagination and choreographic support. (Jan. 11, 2019) - The Intrepid Sea, Air & Space Museum will host its annual Kids Week festival from Sunday, Feb. 17–Saturday, Feb. 23. During Kids Week, visitors will have the opportunity to participate in dozens of fun-filled activities, live animal shows, hands-on workshops, musical performances, special guests and interactive demonstrations that the whole family will enjoy. 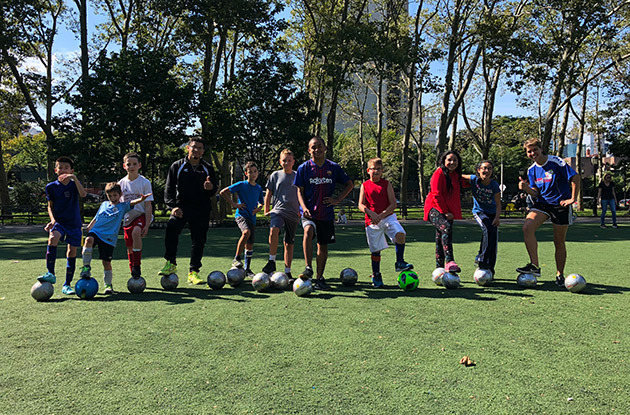 (Jan. 11, 2019) - Following the successful programs in New Jersey, Houston, Mid-Atlantic, and most recently Brooklyn this September, Cerebral Palsy Soccer (CP Soccer) is forming an NYC team in Manhattan. Cerebral Palsy (CP) Soccer is a non-profit founded to help these kids keep team sport in their lives by offering them a chance to train and play soccer with their peers. For many of these kids, its the first time in their lives where they get to meet others with a physical disability like theirs. Getting to play on a level playing field is an exhilaration many of them have never experienced. These kids have as much spirit, drive and determine to succeed, and when they are on the field of fair play and fair competition, they go all out! (Jan. 09, 2019) - Do you wonder how your child’s mind works? The LEARN Lab, a research group at NYU, is studying children’s amazing abilities to learn language. They invite you and your child to visit us and participate in this study. 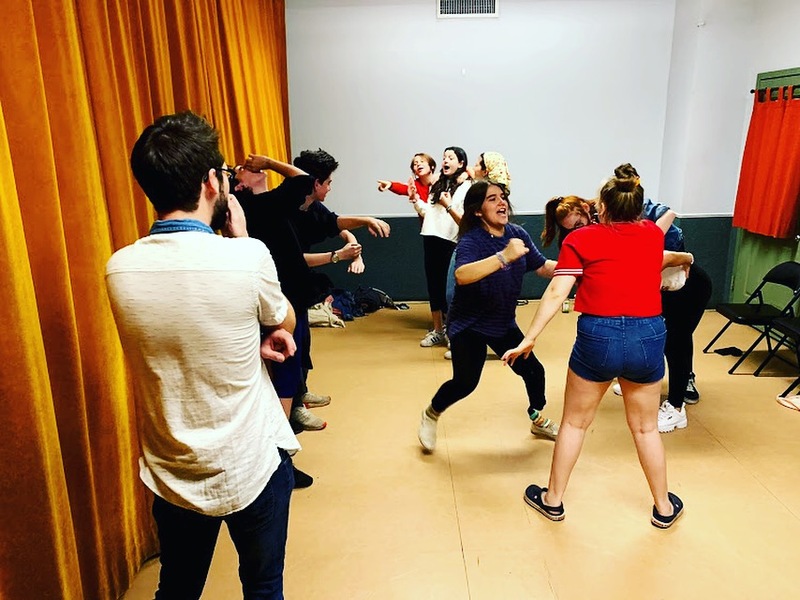 (Dec. 17, 2018) - Playgrounded improv classes offer fun, yet challenging classes that combine both comedy and theater in Midtown. Students learn to take ownership of their improv skills while developing strong relationships with their peers, and having a blast along the way. (Dec. 05, 2018) - Blue School will host a weekly “Little Blue Book Club” starting this Friday. The Friday morning activity is open to toddlers and their parents and is designed to introduce little learners to books, expression and education. (Dec. 04, 2018) - Parents read to their kids, sing together, and bake. Looking for something new and refreshing? Do some math. You might be thinking that you are just not a math person. But are you? Math is a part of your everyday life from the moment you wake up. 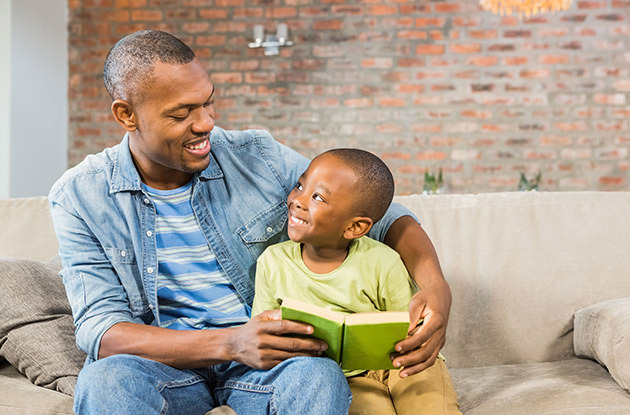 As a parent, you influence how your child thinks about mathematics and it is extremely important to start with a positive attitude toward math. Join MoMath for the next Family Friday, "Reach Out and Touch Space! "presented by Two Sigma on Dec. 14 at 6:30pm. 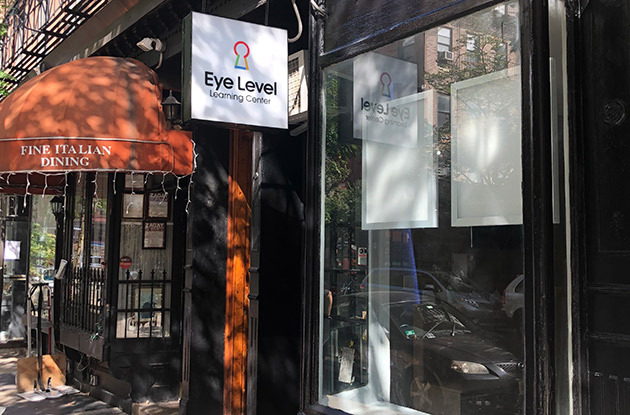 (Oct. 29, 2018) - Entrepreneur and learning center owner Franco Verdino has acquired the FasTracKids and Eye Level Learning Center on the Upper East Side of Manhattan. Driven by a passion for providing the world’s best supplemental enrichment programs to New York families, Franco and his team aim to renovate and revive one of Manhattan’s most prized and historically important learning centers on the Upper East Side. 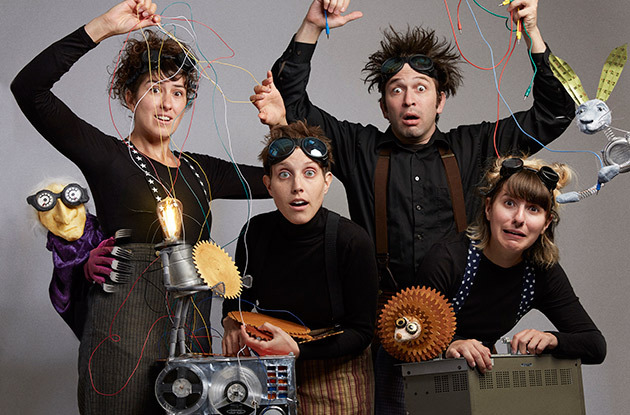 (Oct. 15, 2018) - In 2017 Doppelskope brought its puppet musical about climate change (GRUFF!) to NYC. This month, with the support of a Family Grant from the Jim Henson Foundation, they're premiering their newest and most innovative puppet show at The Tank in Midtown West. (Sep. 04, 2018) - The Sky Rink All Stars, NYC's most established children's ensemble skating troupe, won the silver medal at the prestigious United States Figure Skating National Showcase in Brighton, Michigan, August 5th. 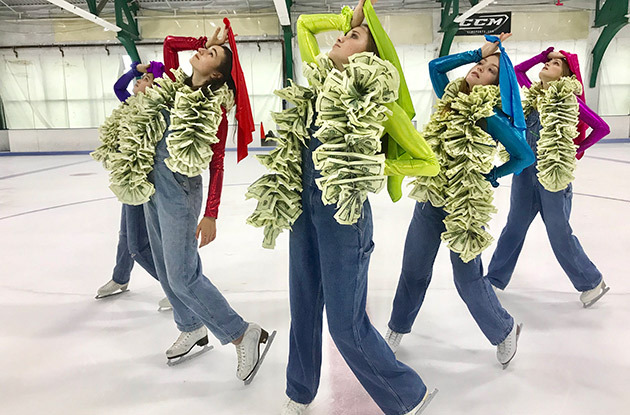 With over 32 teams, the girls performed a dynamic performance to song, "Money, Money, Money" from the movie, Mamma Mia, executing synchronized axels, complicated footwork, chair spins in unison as well as a show-stopping Fosse-esque cabaret dance with boas of fake $100 bills. (Jul. 25, 2018) - Willan Academy of Music will be starting a chorus group for children this Fall in Midtown. All children who love singing are welcome to join the choir. Although no previous musical training is necessary, an audition is required to join in the choir. Auditions will be held on September 17 at 520 8th Avenue. Children must be age 6 or older. To sign up for the audition, please visit the Willan Academy of Music website. The choir rehearses at 6pm on Mondays at the rehearsal location. (Jul. 12, 2018) - Kids Empowerment Academy is a new self-confidence and communication development program that reaches out to those children who may be struggling with self-esteem, and self-expression. 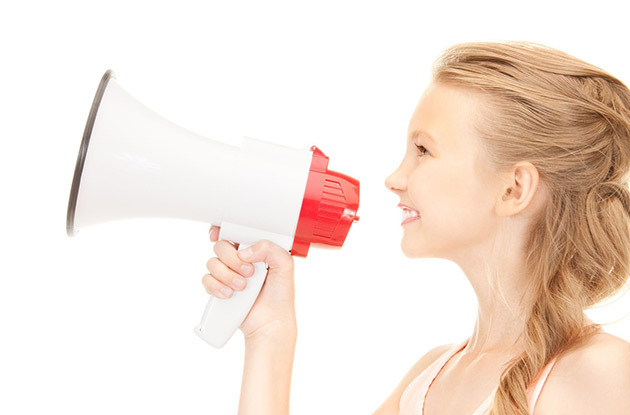 They use games, positive peer interaction, and public speaking techniques to pull children out of their shells and into the confident individuals they are meant to be. “Childhood is when children are forming ideas about their abilities. If they are too shy to express themselves, or ask for help, it can be damaging academically, and on a social level,” says communication specialist Ester Du Von, who has discovered that a focused and receptive audience is the instrument needed in order to allow children to blossom. (Jul. 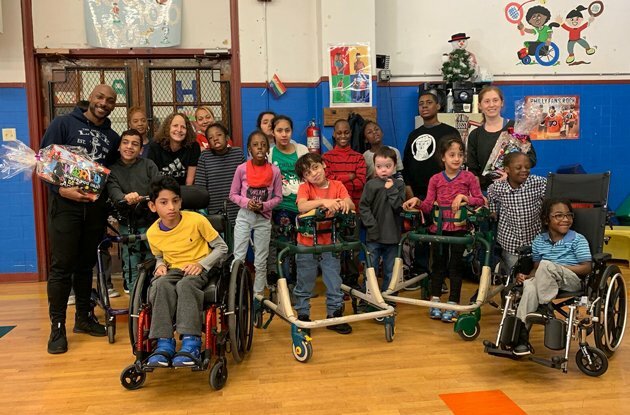 05, 2018) - Fast Feet Track Club, an adaptive and inclusive track and field team in Manhattan, is launching its first community team this summer for children and young adults diagnosed with Autism Spectrum Disorder and other developmental differences. 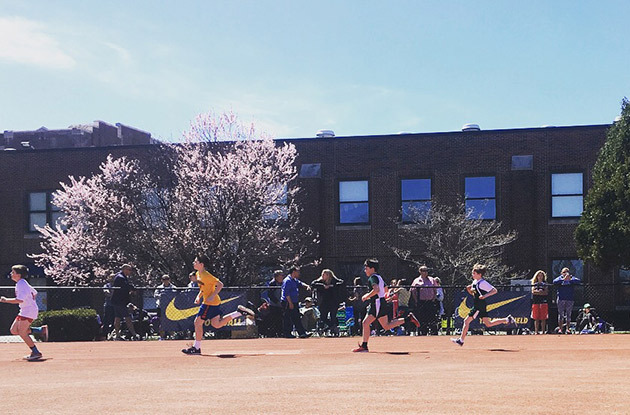 The summer track program offers a 10:1 ratio and provides an inclusive athletic team for runners of all abilities between 7 and 21 years old. (May. 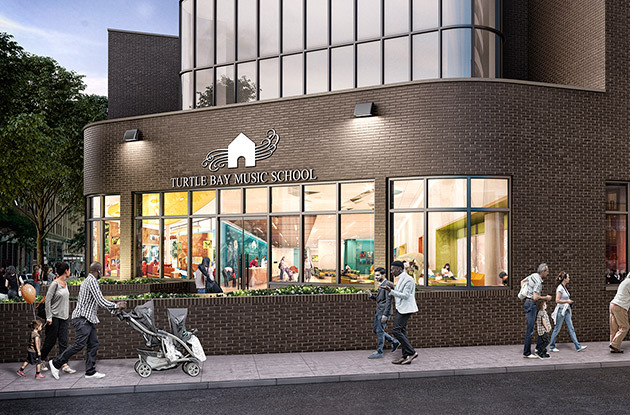 25, 2018) - As part of an overall expansion plan, Turtle Bay Music School (TBMS) will relocate to a modern, customized ADA-compliant facility in The Corinthian Office Condominiums at 330 East 38th Street, conveniently located near Grand Central. It is scheduled to open its doors September 15 for the fall semester. (May. 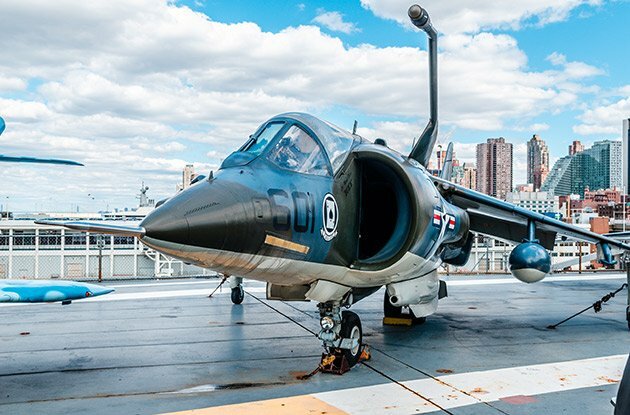 22, 2018) - The Intrepid Sea, Air & Space Museum will celebrate the 30th annual Fleet Week, taking place May 23–May 28, with a week of activities, themed events and live demonstrations that celebrate the armed forces. Fleet Week is America’s premier tribute and “thank you” to the men and women who serve in the armed forces. (May. 18, 2018) - ¡HOLA! A Playgroup in Spanish is delighted to re-launch Summer Camp this summer. This year, ¡HOLA! will offer a Sensory mini-camp, where campers will learn all about the senses.